Dogs are amongst some of the most loving and affectionate pets in the world. You can show them tons of love, and they will wag and wag their little tails and lick you in the face to return the affection. With that being said, this doesn’t mean that they are always affectionate and loveable. In fact, there will be times when you get down right furious with your loveable little critter. If you are like most pet owners, you probably will have a hard time with your dog barking at strangers, and barking uncontrollably at the slightest sounds in the middle of the night. Oh, and the worst is when they won’t stop barking when you tell them to. 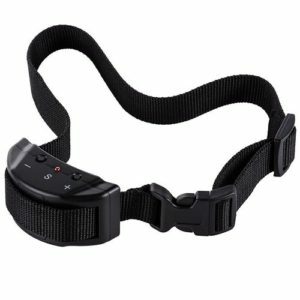 You have probably seen tons of ads on TV and online about anti bark collars, but hesitated, because you think they might be ineffective of cruel. Well, with advances in technology these devices have come a long way, but this doesn’t make choosing one any easier. Below, you will learn about the different types of collars, and how to choose one for your dog. A sonic collar works almost just like the name suggests. 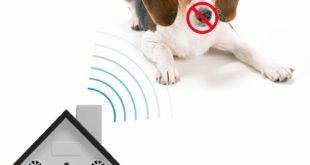 It simply emits an ultrasonic sound that only your dog is capable of hearing. This sound is supposed to be so unpleasant that it instantly makes your dog stop barking when they hear it. In the past dog owners had to keep a remote close by, and press a button when the dog barked. However, over the years these systems have developed in stationary types installments. 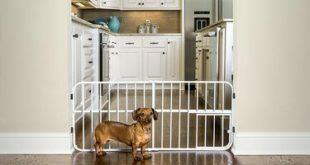 For instance, dog owners can install a sonic stationary system at the front door or gate and when the dog barks the system automatically goes off. 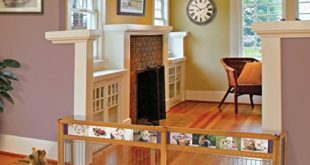 This allows control over the dog’s barking even when you are away from home. This type of bark stopper has to be one of the most ineffective on the market, because some types of dog just continue to bark right through the sound. Spray collars are growing quite a bit in popularity, because they are more humane and fairly effective. These collars work by spraying an unpleasant aroma into your dog’s snout when he or she barks. This is usually some type of lemony or citronella based scent spray. Once again, these spray collars can be ineffective for some types of dogs, because they eventually get used to the smell and just tolerate it over time. Another downside is that you will be able to smell the aroma as well, and it might get on furniture and clothing is you keep the dog inside. 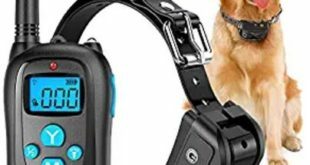 The collars will also have to be filled with liquid from time to time and the battery will need to be check on a regular basis, so there is quite a bit of maintenance for the owner. believe that this is cruel, harmful, and stresses out dogs, but the power of the pulse can be adjusted on most new collars just to give the dog a little jolt.